As I was reading this novel I realized how little I had learned about Japanese Americans being confined in “internment” camps. I do remember that it was mentioned but certainly not dwelled upon. This is a love story between Henry Lee, Chinese American and Keiko Okabe, Japanese American set in 1942, with a shift between the past and the present 80s. The Japanese had bombed Pearl Harbor in 1941 and anti-Japanese sentiment was on the rise. So much so that Henry was told to wear a button on his jacket “I am Chinese”. The back drop of the story is Seattle with its Japanese (Nihonmachi) and Chinese neighborhoods. All of this with a sprinkling of jazz music to tie it all together. Reading along you will discover the hatred of Americans towards Asians in general, but specifically towards Japanese no matter how integrated they were in the community because of the Japanese’s participation in World War II. The wounds of the war trickled down to the depths of the average American – refusing to serve them in shops, confining them to their neighborhood with strict curfews, firing them from their jobs,etc. All this until they were finally rounded up and bused off to “relocation centers”. Beyond these hostilities an unlikely friendship was made between young Henry and Sheldon, a black man who is twice Henry’s age and who plays the saxophone on street corners for pocket change. This life long friendship was a constant for Henry and was a sort of second family for Henry. Sheldon was full of wise and helpful advice for Henry. I won’t go into anymore details because it’s tempting and I feel as if I’ve told you too much already. It’s just a beautifully written story that you must experience for yourself. It encompasses many various themes of literature like immigrating, loyalty, honor, the roles of mothers and wives, but particularly the father-son relationship. 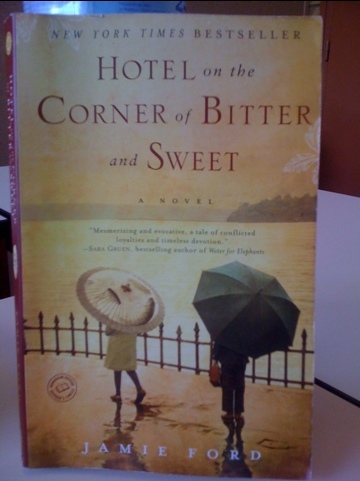 Moreover, Jamie Ford’s remarkable debut novel, Hotel on the Corner of Bitter and Sweet, has had much recognition since it was published in 2009. It’s been on many selections: IndieBound NEXT List, Borders Original Voices, Barnes & Noble Book Club, Pennie’s Pick at Costco, a Target Bookmarked Club Pick, and a National Bestseller, and named the #1 Book Club Pick for Fall 2009/Winter 2010 by the American Booksellers Association. I didn’t see the fab critics when I decided to read this book, but hope the ones above and mine will win you over.. This was one of my book club’s picks for 2011-2012. I’m very delighted that I had a chance to read this book. It left me feeling like the title “bitter and sweet” and taught me some more about my American history. My book club met up yesterday to discuss the book and for once we were a full house and all in agreement with a lot about the book. That was an amazing first too. I can tell you with all the different ages, backgrounds, jobs, and likes in general in the room a big thumbs up from everyone tells you that you will love it too! Look out for Jamie Ford’s second novel in 2013. Check out the link below for some pictures about World War II on the internment of Japanese Americans. 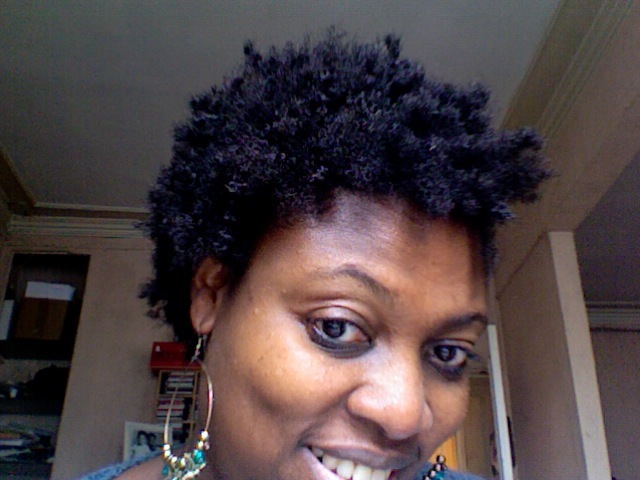 Two years today I did a leap and big chopped* after transitioning* for four months to become natural. 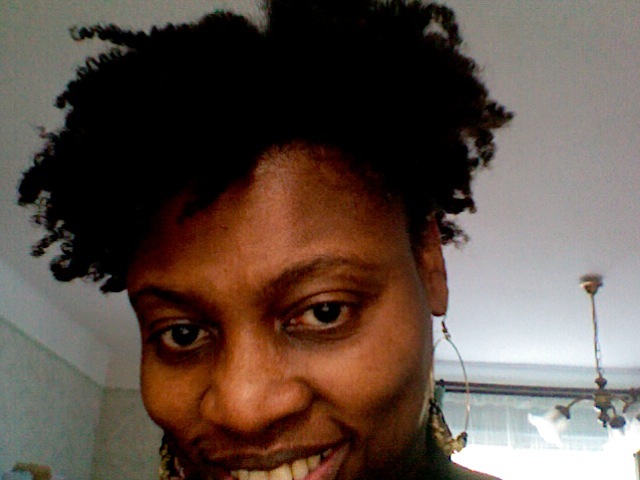 I hadn’t seen my natural hair for more than 30 years. I didn’t even know what my natural hair texture would be like. The only thing I had to go on were many pictures of me with my long plaits hanging down on both sides, with hair ribbons and bows. I’d completely forgotten everything about its texture and its length, but I did remember the discomfort of having my hair done, tender headed. At the end of the summer in August 2009, I was desperate for my scalp to stop itching after the last relaxer* that I had gotten on holiday in the States. So I decided to only shampoo, condition, moisturize and air dry my hair during the transition period since my hair was very short anyway. That went well until January 7, 2010 when I got fed up with scraggly ends which I was afraid would break, not to mention I was starting to look like a wet cat, and cut off all the relaxed ends. I was left with 3cm of hair all over my head. 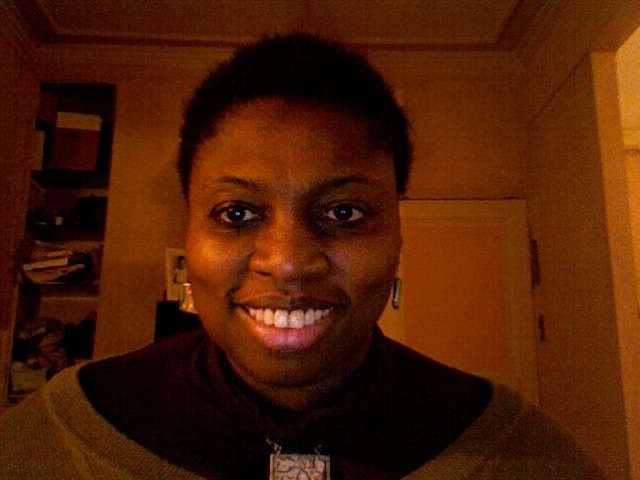 Somehow, I felt liberated and a lot of cold air on my scalp when I went out in the cold Normandy winter. I regretted nothing. Recently, natural hair has become more popular as an alternative to relaxing, weaves, and wigs. Although, black women who decide to big chop without having done research find their hair journey to be a trying and daunting task. So, if there are any wannabee naturals, natural newbies, transitioners, loc wearers, or even relaxed hair wearers reading this post, I suggest you save yourselves the grief, the product junkie-ism, and wondering how to care for your hair. 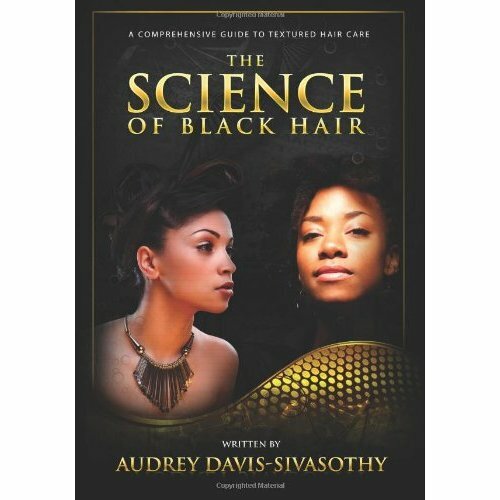 Go out and get The Science of Black Hair! This book is what we’ve all been waiting for. It details everything from explanations on how hair grows, the structure of black hair, product analysis, regimens, children’s hair care, caring for relaxed hair, etc. Everything is touched on in this book. I read it in one week but my copy is full of highlights and dog-eared pages. It’s the book you will refer to throughout your hair journey, whether you’re at the beginning or reached your hair goal. There has been no other book like this written. Basically, the book is about 250 pages and is separated into five major units: 1. The Science of Black Hair, 2.Healthy Hair Management, 3. 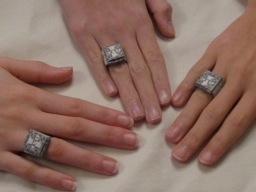 Working with Chemicals in a Healthy Hair Care Regiment, 4 Children’s Hair Care, and 5. The Hair-Total Body Connection.” Under each of these units, there are various chapters that deal with the specificities of the unit, containing micrographic pictures (really cool! ), graphs and information boxes. There is a full in-depth index, a glossary, and product ingredient glossary in the back. If you’re interested in doing more research on hair you can refer to Davis-Sivasthy’s references. There you will find the references she used to write this informative book. I also recommend buying the hardcover because it’s the kind of book you will refer to throughout your hair journey. Look how far I’ve come. After reading The Science of Black Hair I know I can go even further……. For those of you looking for supplementary information about natural hair there are many hair care forums and You Tube channels that can help you along your hair journey. My favorite hair care forum is NaturalSunshine.com. Some of my favorite You Tube hair channels are MsRosieVelt, tastiredbone, africanexport, louloumatou, Naptural85, ahsiek1118, TheNaprika, 160Days2Lose2, tonidaley80, whoissugar, beuniquehaircare, FusionofCultures, and BlackIzBeautyful to name a few, but there are so many more……Once you start watching you won’t want to stop! 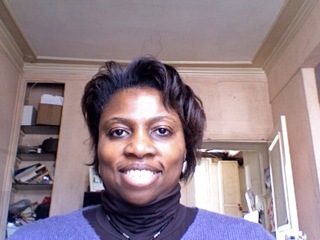 *transition – growing out a relaxer and just trimming the ends regularly until all the relaxer is gone. *relaxer – chemical processing the hair using a lye product, sodium hydroxide, which is put on the roots of the hair about every 6-8 weeks to keep the appearance of straight hair. It’s 2012 and we’re all back to teaching full-time. This is the chance for us all to do our teaching in an even more efficient way. Some expert teachers with many years behind them would say try teaching differently. For example, if you teach with a book teach without one. If you always make lesson plans try not making them or vice versa. I’m going to suggest one particular thing which has helped me tremendously in the past 4 years. 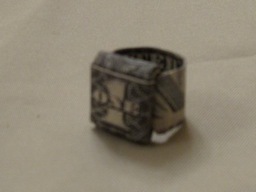 I heard someone suggest this in a conference a while back but I never could seem to make the time. What is it you ask? It’s simply learning to do something that you don’t know how to do. It could be learning a foreign language, learning to play an instrument, taking drawing or painting lessons, learning to cook or to make pottery. It’s amazing how much more you learn about this new activity but as well about yourself and your students. The learning process becomes even more clear. 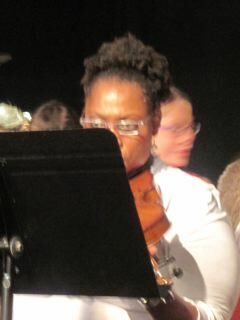 Four years ago, I picked up the violin. I like to say it like that because it makes it sound so easy. Actually, it’s the instrument I desired to play the most when I was a child but wasn’t allowed to. We had a piano. So, at the age of 41, I decided to enroll in the local Conservatoire here in my city where I study music side by side with young children and adolescents between the ages of 10 and 17. This has been the most enriching experience for my personal development and especially for my teaching. It’s made me see things from the learners point of view. I can equate better with the moments of low enthusiasm, confusion, and the ups and downs that learners experience quite often in EFL or any other learning experience as the level becomes more challenging. Self motivation, consistency, and desire are needed by both students and teachers to carry out this endeavor. One is not dominant over the other because it’s a joint effort for the common goal of acquisition. It can only work out well if both put forth an honest effort. Of course, this doesn’t mean you can’t have a little fun in the process. At times, the learner may need a big push up the hill or a bit of a carrot to get from one level to another. Notice I said a push not pulling. Pulling would show an all out refusal to go any further. This is just an idea for those teachers out there who feel as if they are always doing the same thing and feel as if they are not reaching their students the way they would like to. Taking risks in teaching and trying new things can always teach you something new. Try to get out of your comfort zone. This is what teachers usually say to their learners. Are you ready to? So get out there and learn to do something new. Doesn’t matter what it is! You might be surprised by the amount of new lessons you’ll come up with and how innovative they’ll be. Good luck with it! Well here we are again shutting the door on the old and opening up to the new today the first day of 2012. Announcements of how bad the economy will be, rising taxes, price hikes, it’s all gloom and doom. I’m sure this year will surely offer plenty of occasions for growth, discovery, friendship, prosperity and much more. There will certainly be many opportunities to read some interesting books and to share them with others. There are sooo many, but sooo little time. That’s why I’m going to challenge myself and anybody who reads this post to read 50 books in 2012. No specific genre just read, read, read whatever you want for sheer pleasure; and of course as much as you can. For those who are trying to save a little money there is always the local library or local garden sales or set up a book exchange with friends. Don’t sacrifice the pleasure of a good book because of the cost. There’s even bookcrossing.com. Who knows maybe you could find some interesting free titles lurking in a place near you. I know it won’t be easy for me with my very hectic schedule teaching to uphold this challenge but I’m going to give it my best shot. Write in and suggest some titles if you have any goodies in mind. I’m also going to go through my many shelves and try to read some of those To Be Read books. I’ve got loads of them. Present reading in progress is The Science of Black Hair and Annie John. I’ll be back soon with reviews on these two. I also have a few more lined up – Memoirs of a Porcupine and Broken Glass by Alain Mabanckou, and Lucy by Jamaica Kincaid…..These were suggested to me by a friend who is an avid reader of black literature. 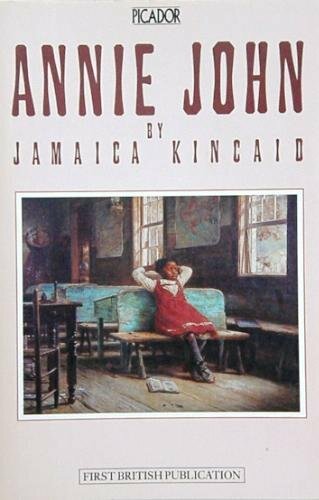 I’ve heard of Jamaica Kincaid, but never read any of her books before. I’m kind of excited to discover a little about West Indian literature. Well that’s all just wanted to wish you all a Happy New Year and lots of happy reading in 2012. 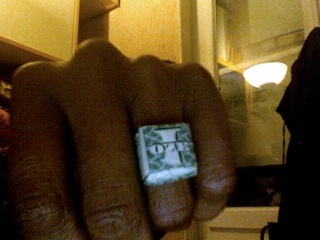 Hope you enjoy my future posts and enjoy the big challenge of 2012, I know I will!